Welcome to the June 4, 2018 edition of ACM TechNews, providing timely information for IT professionals three times a week. A study from the Fraunhofer Institute for Applied and Integrated Safety in Germany describes a method for hacking a virtual machine (VM) with AMD's Secure Encrypted Virtualization (SEV) safeguards. The company's EPYC server processors feature two cores that can each manage two threads, as well as SEV for real-time encryption on VMs. However, the Fraunhofer team says their "SEVered" exploit can retrieve plaintext memory data from guest VMs operating on the same server as a VM that is under siege. "By repeatedly sending requests for the same resource to the service while remapping the identified memory pages, we extract all the VM's memory in plaintext," they warn. The team says the attack hinges on the VM storing some data within the main random-access memory, and "the page-wise encryption of main memory lacks integrity protection." In this way, a hacker can plot out all of the memory and then request segments used by other nearby VMs. 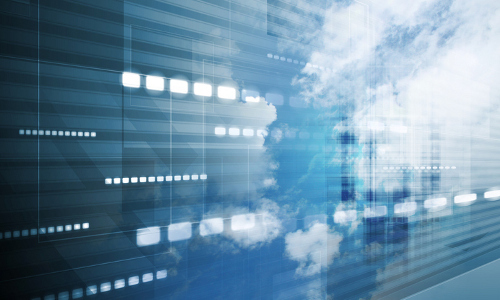 The Ontario Institute of Cancer Research (OICR) in Canada is using the cloud-based, open source Cancer Genome Collaboratory to facilitate international cooperation on cancer research. The Collaboratory features 2,600 cores, 18 TB of random access memory (RAM), 7.3 PB of Ceph-managed storage, and 670 TB of safeguarded cancer genome data. The Collaboratory functions as centralized storage for the data, and provides scientists across several continents with the computer resources they need to analyze it via a self-service protocol. OICR's George Mihaiescu says self-service gives participants a common user experience, offering access to compute power similar to what a public cloud provider might deliver while being far less expensive. The Collaboratory provides access to virtual machines with a maximum of 30 cores, with each outfitted with 244 GB of RAM and more than 5 TB of storage capacity. Collaborators from the University of Queensland (UQ) and RMIT University in Australia and ETH Zurich in Switzerland have proposed a device that can break time-reversal symmetry by exploiting the quantum tunneling of magnetic flux around a capacitor. UQ's Tom Stace says this device "makes radio signals circulate around the circuit in only one direction, much like cars on a roundabout. Such a device could be used to isolate parts of an experimental apparatus from each other, which is crucial when the individual parts are extremely sensitive quantum systems." RMIT's Jared Cole notes the circulator would be based on a superconductor, which lacks electrical resistance. "In it, quantum 'tubes' of magnetic flux move around a central capacitor by a process known as quantum tunneling, where they overcome classically insurmountable obstacles," he says. ETH Zurich's Clemens Mueller says the work "makes an important step towards scaling up this technology, where researchers need to precisely direct control and measurement signals around a quantum computer." IBM, the United Nations, the Red Cross, and other organizations recently launched the Call for Code Global Initiative to help the IT world respond more efficiently to natural disasters using a variety of computer-based technologies. The project is the largest and most ambitious effort to assemble startup, academic, and enterprise developers to address natural disaster prevention, response, and recovery, according to IBM. IBM's Ginni Rometty committed IBM technology and $30 million over five years to the initiative. Call for Code invites developers to write new applications to aid communities and people in handling natural disasters. IBM's investment will pay for access to expert training, developer tools, technologies, and free code. The winning app-building team will receive a financial prize and support to transform its idea into a real-world application. Projects can be submitted for consideration between June 18 and August 31, with a winning application to be named in October. Washington State University (WSU) researchers for the first time have used three-dimensional (3D) printing technology in a one-step process to print structures made of two different materials. 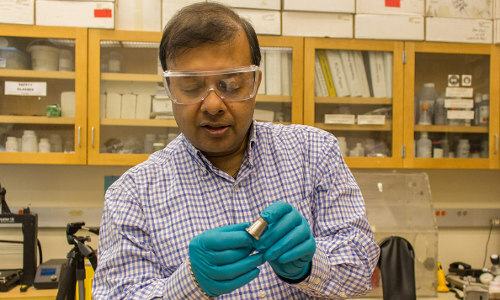 WSU's Amit Bandyopadhyay led the research team in printing metal and ceramic structures, as well as a bimetallic tube. Using a laser-based 3D printer, the team joined materials in a single step to produce a nickel-chromium and copper structure. The nickel-chromium alloy used, Inconel 718, withstands high temperatures but cools very slowly; by adding copper in the 3D printing process, the researchers were able to cool the part 250% faster, resulting in longer life for the component and greater fuel efficiency for airplane engines in which it is used. 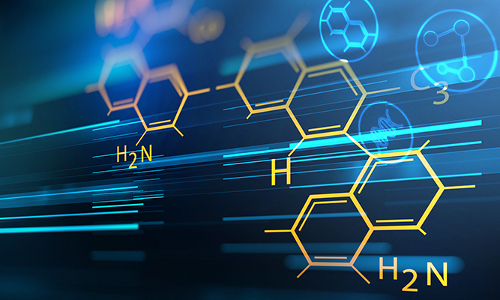 Using more than one material at a time will enable manufacturers to better control properties like heat conduction, corrosion protection, and environmental adaptation while eliminating the need to use adhesives or joint connections. 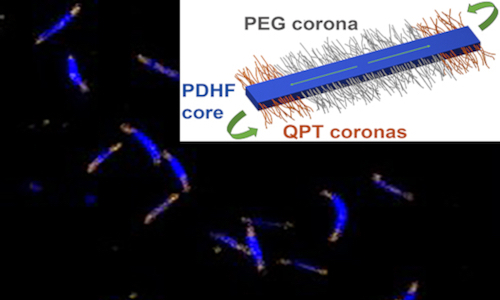 A joint research team from the universities of Bristol and Cambridge in the U.K. has created a method for synthesizing light-absorbent polymeric crystalline semiconductor nanostructures that transport energy further than previously achieved. Bristol's Xu-Hui Jin and colleagues generated the nanostructures, while Cambridge's Michael Price quantified how far their photo-excited states travel, outdistancing previous records 20-fold for a maximum distance of 200 nanometers. That distance is greater than the thickness of material needed to fully absorb ambient light, making the polymers suited for solar cells and photodetectors. "The distance that energy can be moved in these materials...points to the role of unexpected quantum coherent transport processes," notes Cambridge's Richard Friend. The team is preparing to synthesize thicker structures with more optical absorption depth, for the construction of prototype solar cells based on the technology. Researchers from the Massachusetts Institute of Technology (MIT) Computer Science and Artificial Intelligence Laboratory (CSAIL) have designed a device that uses inexpensive flash storage to process huge graphs using a personal computer. 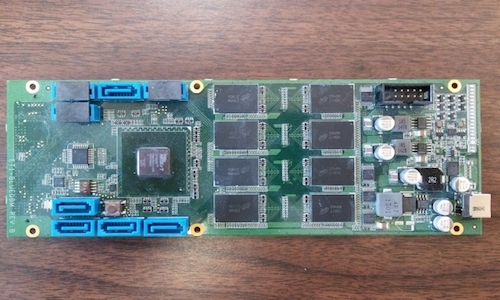 The team created a device consisting of a flash chip array and computation "accelerator" that helps flash achieve DRAM-like performance. The device runs on a "sort-reduce" algorithm that organizes all access requests for graph data into a sequential order that flash can access rapidly, obtaining kilobyte-sized chunks of thousands of requests simultaneously. To test the new device, the researchers ran it against traditional high-performance systems to process large graphs, including the Web Data Commons Hyperlink Graph, with 3.5 billion nodes and 128 billion connecting lines. The traditional systems required a server with 128 gigabytes of DRAM, while the researchers achieved the same performance with a personal computer running two of their devices totaling 1 gigabyte of DRAM and 1 terabyte of flash. By combining several devices, the team could process graphs of up to 4 billion nodes and 128 billion connecting lines, which no other system could handle on the 128-gigabyte server. A Columbia University research team has invented a graphene-based material with a significant band gap in the hope of making the material behave like a semiconductor. The van der Waal (vdW) heterostructure created by the team has yielded new insights on tweaking stacking between two-dimensional (2D) material layers to widen the band gap, possibly without applying pressure. "The heterostructure sits in a bath of oil inside a Teflon cup, and this cup is compressed so that everything inside feels a uniform high pressure," says Columbia's Matthew Yankowitz. The technique squeezes all the 2D layers closer together, which Yankowitz notes "allows us to tune the strength of this interlayer electronic coupling, and as a result tune the properties of the vdW heterostructure by controlling how closely the 2D layers sit with respect to one another." Facebook AI Research (FAIR) has developed a neural network that can translate music from one style, genre, and set of instruments into another. The artificial intelligence (AI) system takes one input, such as a symphony orchestra playing Bach, and translates it into another version of the same song, such as on a piano in the style of Beethoven. The FAIR team says this breakthrough marks the first time an unsupervised learning method has been able to recreate high-fidelity music with a neural network. The new approach involves a complex method of auto-encoding that enables the network to process audio from inputs on which it has never been trained. The unsupervised learning method uses high-level semantics interpretation, instead of attempting to match pitch or memorize notes. 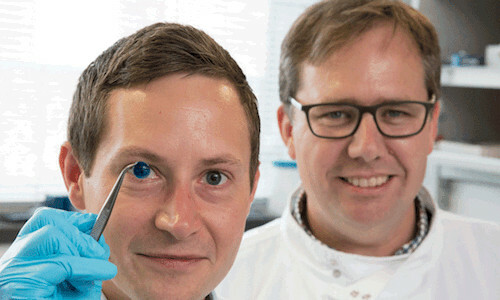 Researchers at Newcastle University in the U.K. have developed a technique for the use of a three-dimensional (3D) printer to print human corneas. In the future, the technique could ensure an unlimited supply of corneas despite the ongoing shortage. The proof-of-concept research demonstrates that stem cells (human corneal stromal cells) from a healthy donor cornea can be mixed with alginate and collagen to create a printable "bio-ink" solution. The bio-ink was extruded in concentric circles using an inexpensive 3D bio-printer into the shape of a human cornea in less than 10 minutes. Newcastle University's Che Connon says the team's unique gel keeps the stem cells alive while producing a material that can hold its shape and squeeze through the printer's nozzle. The team also demonstrated the ability to tailor a cornea to match a patient's unique size and shape by scanning the patient's eye. The 3D-printed corneas will undergo further testing and could be ready for use in transplants in several years, says Connon.